My secret recipe if you have the stomach for it was a two-amp twin-system course: TU-8200DX + PAДИO 6n3c (ultralinear) + Klipsch Synergy F2 and TU-879S + PAДИO 6n3c (pentode by default) + JB3F. Sourced from my Oppo BDP95 through a Y-splitter tweaking the relative volume balancing the weight between two systems, I can blend the sonic colours and fine-tune the recordings to please my ears. Cocktail music anyone? During the tube rolling exercise I also spent some time tinkering with the 12AU7 voltage gain tubes. I found that the General Electric 5814A gave me the highest overall score. Especially in pentode or ultralinear mode they seemed to be more potent or stable in sustaining the high voltage that the power tubes needed to track an orchestral climax to the end. The wide open soundstage was filled with transparent detail and direct punch. Being an apathetic headphone person and unqualified headfi reviewer, I thought I won’t write a single word on the headphone output to disguise my ignorance. But I heard too many good things about this particular feature of the TU-8200DX. It was with proper what-the-heck attitude that I plugged in my Sennheiser HD598 and cuffed my ears. I was literally stunned when Tchaikovsky’s Romance Op.5 muted on the speakers and came through the headphones. This old 1986/1988 but very touching recording of Tchaikovsky’s sentimental piece under Mikhail Pletnev [Melodiya SUCD-10-00048] seemed to be charged with even more emotions enkindled by the PAДИO 6n3c. The pianistic expression was adorned by warmth and an impassioned touch. Each note shimmered with a glowing accent and lingered on until it whispered its unwilling farewell. The musical rendezvous was simply poetic. This pleasant surprise fermented curiosity. A quick check of the schematic (page 19, user manual) revealed that the headphone circuit branches out from the output tubes and output transformers. Three resistors (R39/40, R41/42, R43/44) on each channel readjust the output impedance to suit headphones from 8-1’000Ω. Being a headfi novice, I asked Victor if this was the typical topography for a headphone section found in integrated tube amps. He referred the question to Elekit and the answer came back within hours. 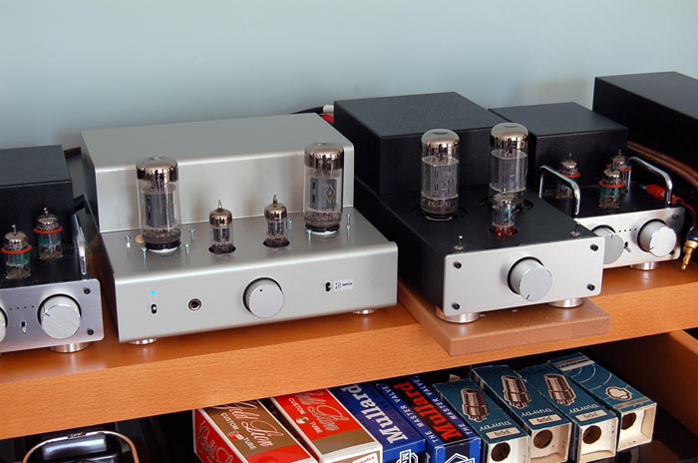 "For those integrated amps with vacuum tubes, there are not many of them with a headphone terminal in the market. Even if they do have it, they usually adopt an exclusive circuit for the headphones which in most cases is solid state. 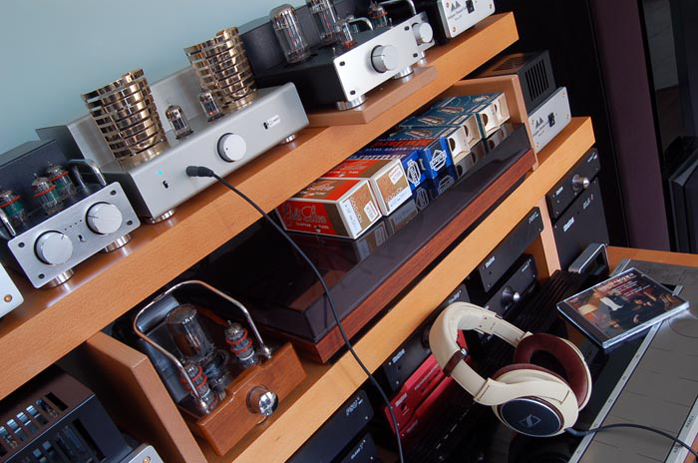 In the absolute sense these headphone circuits cannot realize pure tube sound. For the TU-8200 the headphone circuit is not exclusive and does not bypass the tubes or output transformers. 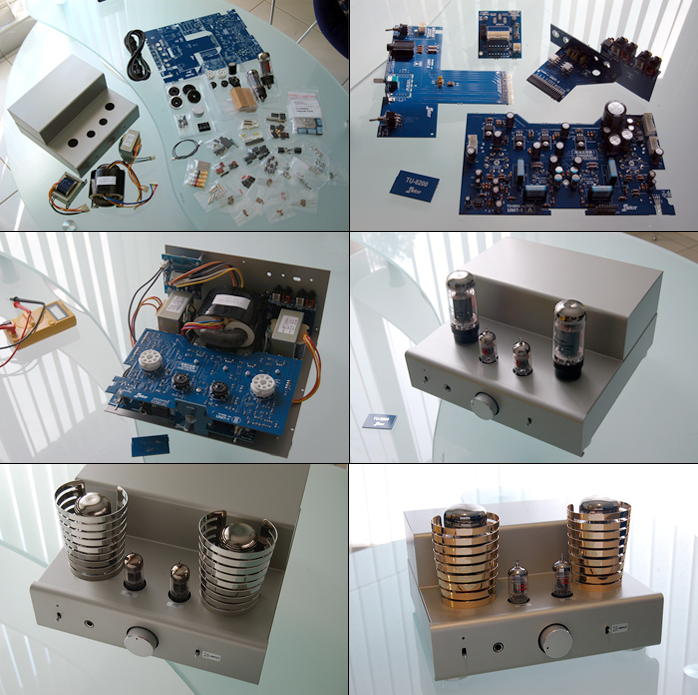 Mr. Fujita our chief designer simply made the headphone terminal an integral part of the tube amp itself, adding only three pairs of resistors to the signal path. This is not as simple as it sounds though. 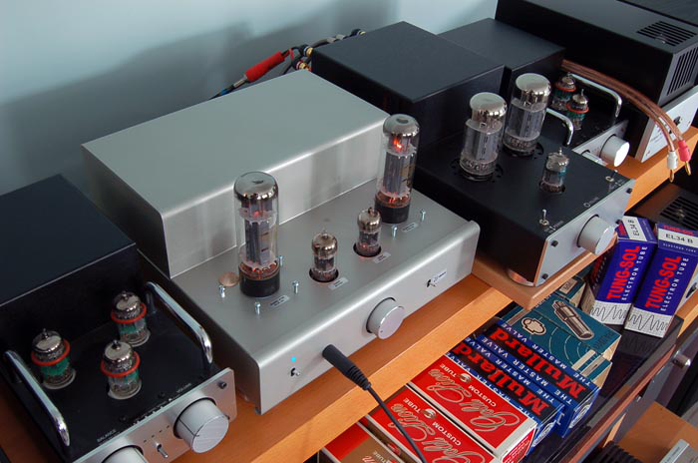 Unlike for solid-state amps, impedance matching is of critical importance for tube amps. Mr. Fujita did not just lower the voltage to maintain compatibility/drive but also had to carefully consider the impedance of the headphones to be connected. 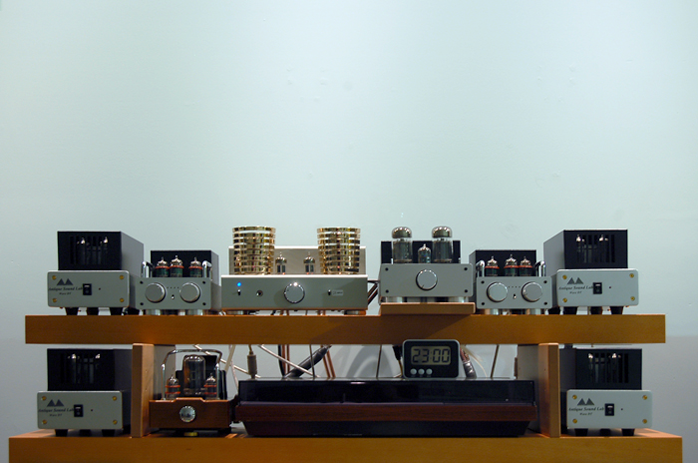 He finally optimized the impedance value with minimal components to deliver pure tube sound." The Sennheiser HD598 is rated at 50Ω. Setting the amp to triode (4W into 8Ω) produced more than enough power (640mW into 50Ω) plus the generous bonus of unrestrained articulation. That satisfied even the most complex contemporary orchestral music. And those well-defined images and the airy soundstage were strikingly tangible. Nonetheless I still preferred ultralinear for its deeper bass, richer midrange and unyielding valve bloom. I could not believe that I would volunteer for another round of tube rolling and mode changing. With my modest headphone I could hear all the tube variants in their best light*. None of them sounded excessive now, not even the Mullard EL34 in ultralinear mode. What used to be fat and bloated on the Synergy F2 now was intoxicatingly sweet on the HD598. And with the Genalex KT88, the golden piano tone and pearly touch simply melt my heart. I did try a few headphone amps in the past. This was the first time my perception of headphones was changed forever. For its $725 price and its 10/10 performance/value ratio boasting fully loaded features and a true tube headphone amp, I had to scrap my original plan of comparing this amp with other tube amps at twice the price. The battle was won before it ever began. Elekit had it all planned out.